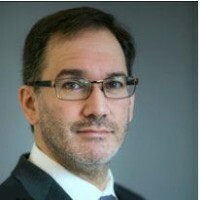 Jason Frankovitz is a software engineering expert and patent holder with more than 25 years of experience. He has consulted on more than sixty lawsuits and investigations and has testified under oath seventeen times. He has consulted for federal and state cases involving infringement of software patents and copyright, trade secret misappropriation, and software programming best-practices. His specialties include GNU/Linux (and other open-source projects), version control/release management, and Internet & mobile programming. Mr. Frankovitz provides litigation support services for both plaintiff and defense attorneys in the following areas: patent infringement, software functionality/code review, software engineering breach of contract, programming best practices, web & mobile app development, and search engines. As a programmer, CTO, and inventor, Jason Frankovitz has been in the trenches of technology for more than 25 years. He has worked as a software developer, engineering manager, and system architect in a wide variety of industries including e-commerce, digital entertainment, mobile computing, and social media. He has launched multiple Internet startups using cutting-edge technologies like cloud-based server scaling, machine learning (AI), and personalized ad targeting. Jason's first startup, itList.com, was the first online bookmark site on the Web and created significant prior art used in multiple patent cases; he also holds a patent for technologies developed by his second startup, Seethroo. For several years Jason taught at San Francisco State University, and was a mentor for software development interns from ENSEEIHT, a major engineering school in France. He is employed by Quandary Peak Research, a software investigation firm, and is based in Los Angeles. Mr. Frankovitz has served as software expert in more than 60 cases, including many patent infringement cases. Awarded each semester for exceptional teaching by a continuing education instructor at San Francisco State University. National academic fraternity for undergraduate students. Awarded for GPA of 3.8 or higher. Awarded for academic achievement to 16,000 high school students each year out of 1.5 million entrants. B.A. in Telecommunications with Phi Eta Sigma honors from Indiana University.